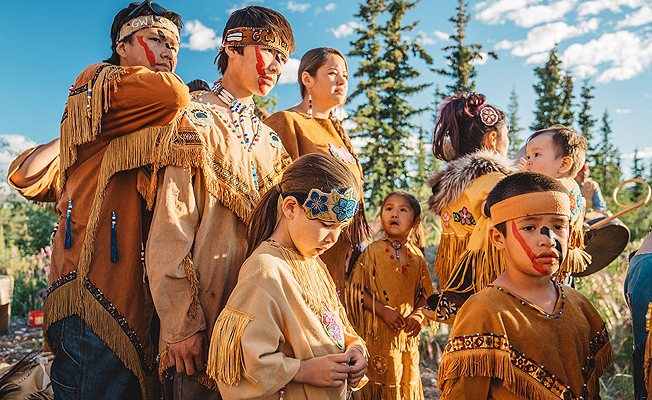 "The Refuge" focuses on the Gwich’in people of Alaska and Northern Canada and their more than three decade fight to protect the Coastal Plain of the Arctic National Wildlife Refuge from oil drilling. The film was produced by outdoor apparel company Patagonia, directed by Finback, the directing team of Kahlil Hudson and Alex Jablonski, who are represented for commercial projects by Los Angeles-based Accomplice Media and produced by Finback’s Tyler Hughen. Filming in such a remote location was severely challenging. The pair brought in a bush pilot with a homemade aircraft to capture aerials of the spectacular and unspoiled environment. 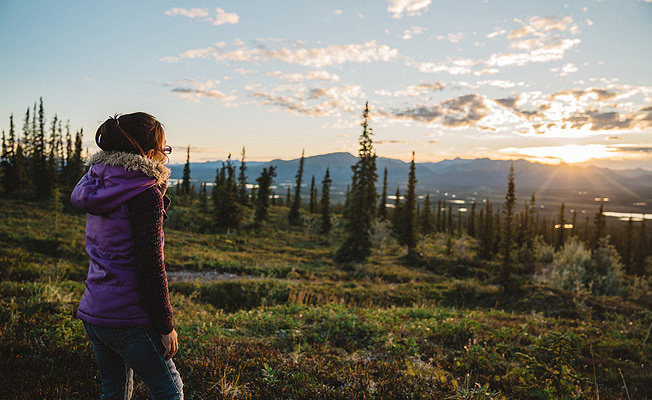 Hudson and Jablonski traveled with the two women from Fairbanks to Arctic Village, on the southern edge of the Arctic National Wildlife Refuge. The directing team’s new short film for Patagonia and the Alaska Wilderness League focuses on the Gwich’in people’s struggle against commercial exploitation of their ancestral lands. 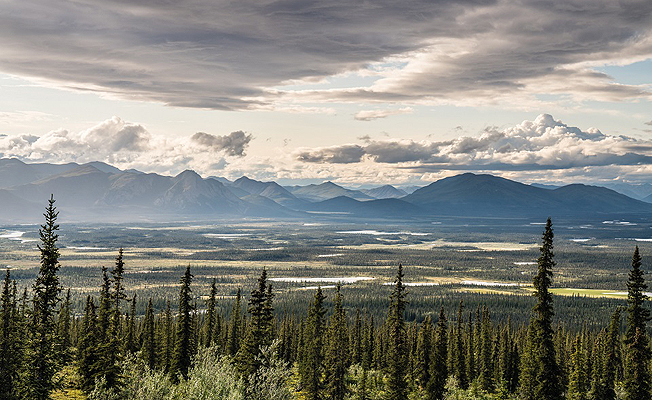 The just released short film, The Refuge, focuses on the Gwich’in people of Alaska and Northern Canada and their more than three decade fight to protect the Coastal Plain of the Arctic National Wildlife Refuge from oil drilling and other threats. 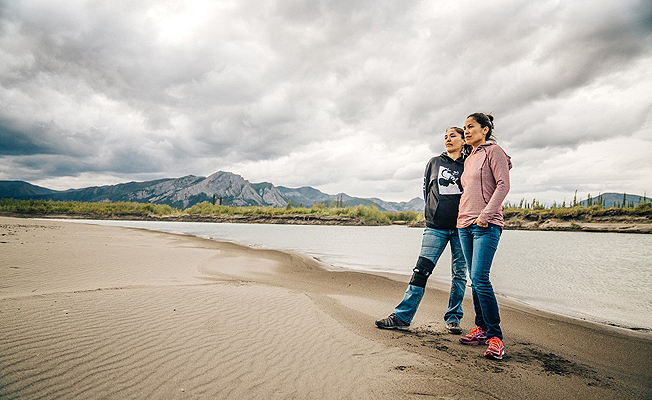 It focuses, in particular, on the story of two Gwich’in women who are helping to lead the effort to save their ancestral home and the wildlife on which their life depends. Filming in such a remote location was severely challenging. As there are no cars in Arctic Village, bulky film equipment had to be transported by ATV or carried on foot. Electricity was also at a premium. Hudson and Jablonski had access to just one electrical outlet for use in charging camera equipment and computers. The pair brought in a bush pilot with a homemade aircraft to capture aerials of the spectacular and unspoiled environment. 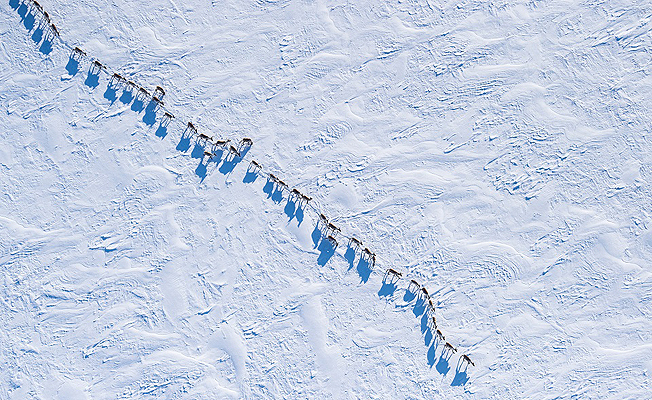 In particular, they wanted to capture the sun rising over the vast expanse of snow and trees, but the length of summer days in extreme northern Alaska made that difficult. The sun did not set until after 1 a.m. and rose less than three hours later. “It became the transcendent moment in the piece that gives people a sense of what that place is like,” adds Jablonski.